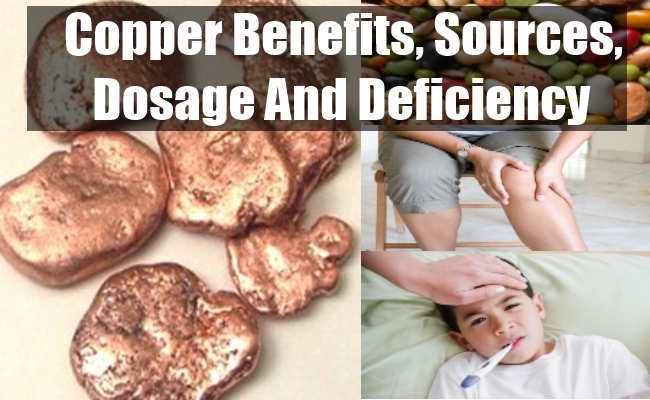 Copper is a crucial trace mineral which is present in every single cell of the body. Copper, along with amino acids, proteins and fatty acids are important for the normal metabolic processes. Copper is the third most important mineral found in the human body. It helps with maintaining a healthy metabolism which is important for the development and growth of the body. In the absence of copper, there will be no peptide formation, neurotransmitter biosynthesis, cellular respiration, connective tissue strength and pigment formation. Copper is crucial for various enzymes and helps with the constant development of the central nervous system. It supports neurodevelopment, growth and the cognitive functions. An optimum level of copper helps with the prevention of bone-related diseases such as osteoporosis. Copper helps in maintaining healthy immune functions. It is also essential for the formation of red blood cells. It helps in maintaining the quality of eyes, hair and connective tissues. Copper is a potent antioxidant which acts as an anti-aging agent. It assists the body in maintaining an optimum level of good cholesterol. Copper helps with the proper functioning of thyroid gland. It is antimicrobial in nature. Copper is among those few minerals which cannot be synthesized by the human body. It cannot be synthesized by the human body and can only be obtained from dietary sources. Copper can easily be obtained from various food items such as seafood, meat, beans, whole grains, soy-flour, wheat bran, avocados, soy flour, barley, almonds, nuts, garlic, blackstrap molasses, mushrooms, oats, lentils and beats. Oysters and crab meat contain the highest amount of copper. 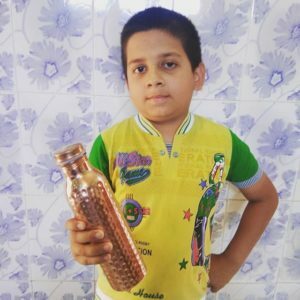 Another great way to fulfill the daily requirement of copper is by drinking copper treated water or water that has been stored in a pure copper water bottle.